The ice is going out in Smiley's Pond at the junction of Rtes. 23 and 41 in South Egremont. 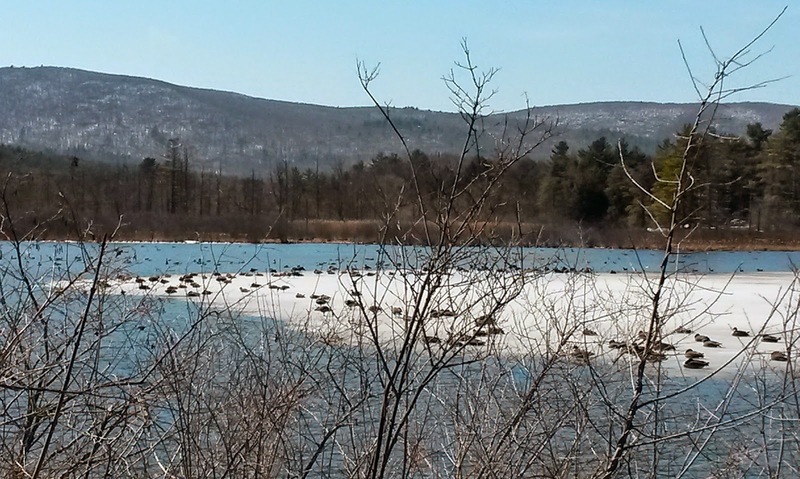 The old mill pond is often full of birds in spring and fall. I love walking around it and using my binoculars to spot different birds. Last summer, I even spied three otters fishing in the lake. 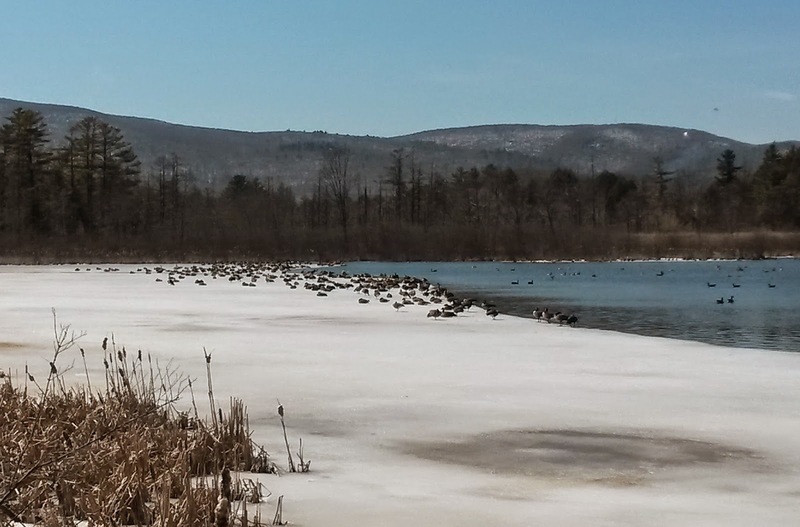 At first site, it looks like only Canada geese; they do predominate. However, when I look closely, I see various ducks and other birds. Yesterday I saw many hundreds of Canada geese of various sizes; the striking hooded merganser; the common merganser with its very red bill; and mallards. My camera does not take closeups very well, but you can see that there were many, many birds. 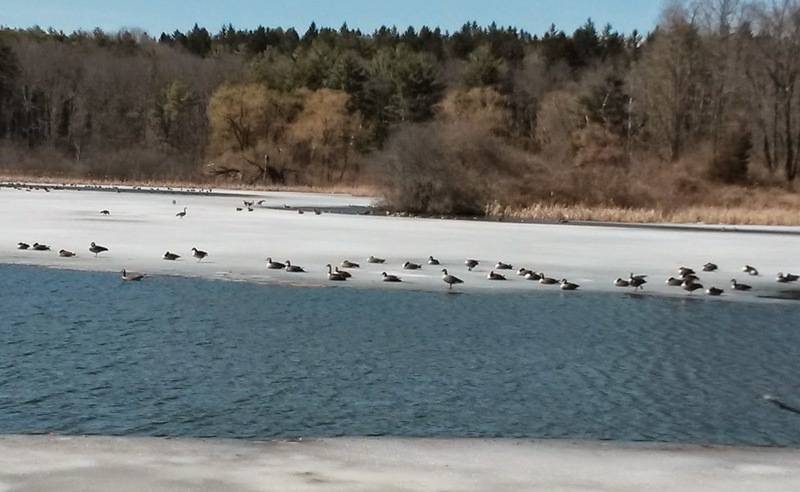 Most of the ones on the ice were facing the warm spring sun!